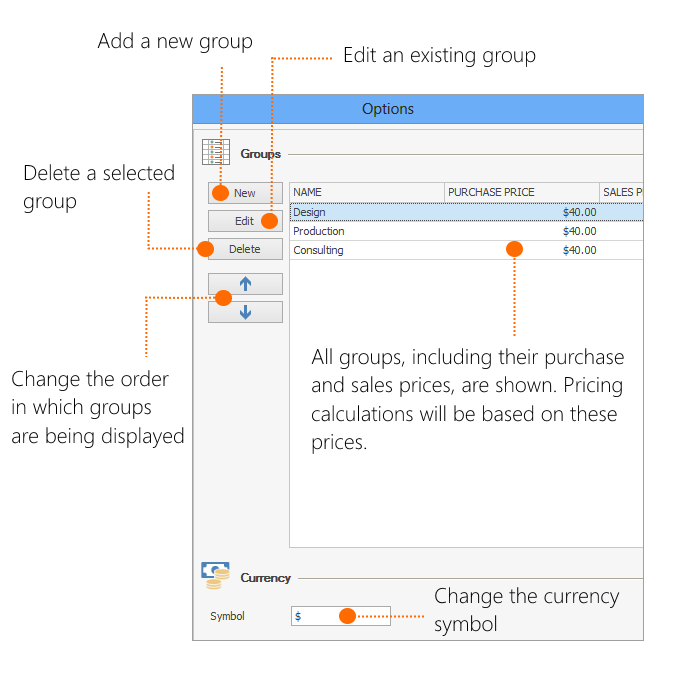 Groups are a good way to sort tasks and budget items into specific categories with pre-defined purchasing and sales prices. This enables you to keep an overview of your expenses and revenues across different groups, i.e. types of work or services (see Budget Overview). It’s important to create distinct groups that cover distinct activities, such as Production, Design, Maintenance, or Consulting. The automatically created budgets Expenses (Plan, Resources) and Expenses (Actual, Time Tracking) use the purchase and sales prices specified for each group to bill a task. You can add, edit and delete groups in the InLoox Options. To get there navigate to the InLoox Options >> General Options >> Groups. Name - Give your group a clearly distinguishable name. This will make it easier to assign your budget items to the right group. Creating a new group does not affect your existing budget items and tasks. 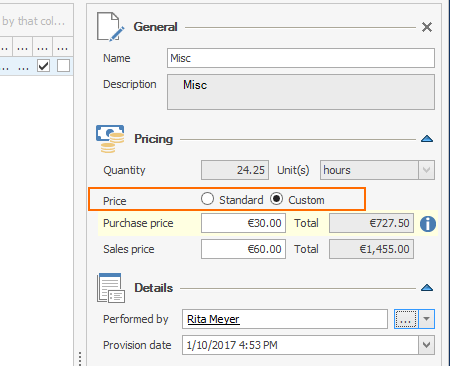 The purchase and sales prices of your existing budget items will remain the same, even if you edit the purchase and sales prices of a group. 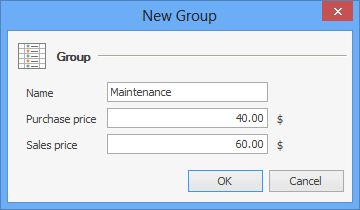 The pricing will automatically change to Custom when you change the prices for a group in the InLoox Options. If you want to apply the newly defined prices, select Standard. Already billed expenses from time tracking entries will not change when you edit purchase and sales prices. If you delete a group, all tasks and budget items that have been assigned to this group will automatically be assigned to another group. You will have to re-assign these tasks to the appropriate group. Changing the currency symbol does not automatically convert prices. Prices in InLoox will remain the same (“currency rate” = 1:1), and only the currency symbol changes. Create and edit groups in InLoox 9 • Copyright 1999-2019 © InLoox, Inc. All rights reserved.